It’s the laundry hack that is helping mums all over the world shrink that clothes pile. Oh yes, you’ll want a piece of this – and we’re pleased to tell you it’s a cinch to make and completely free. Mummy blogger Autumn – a mum of five – posted a video of her ingenious laundry helper to her blog. We think it’s a great idea and it seems other mums agree, with the video going viral and viewed by more than two million people on Facebook. “Put those kids to work! 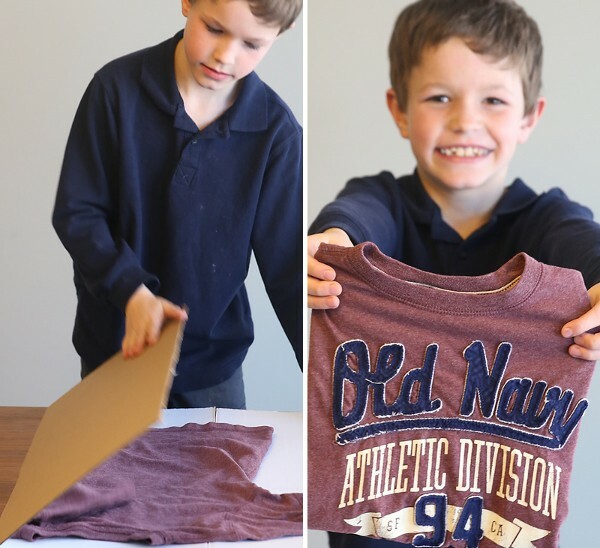 Click through to find out the easiest way to make your own laundry folding helper,” Autumn says in the caption for her video, which shows her seven-year-old son folding a t-shirt, long sleeved top and pants properly and with ease. She has included instructions on her blog that shows how you can make your own DIY laundry folding helper out of cardboard. “I am a firm believer in teaching kids to do chores around the house, even when it’s easier to just do them yourself,” says Autumn. Thanks to an ingenious flattened box nicknamed the ‘folding helper’, Autumn’s son can now fold his own clothes. 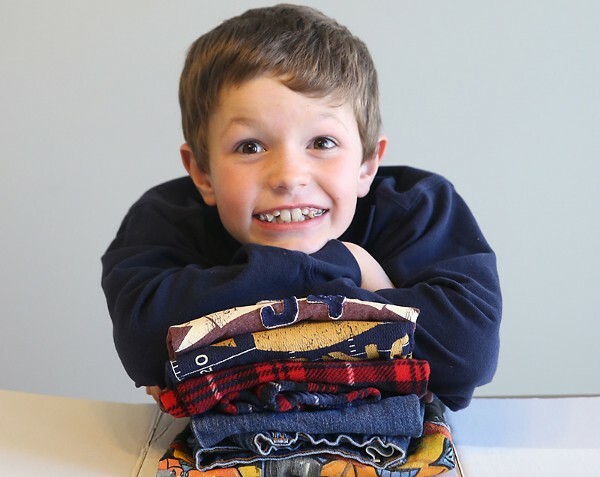 “Using the helper, my seven-year-old was able to get his clothes folded quite tidily on the first try, and I with a little practice he’ll get even faster at it. The key for shirts is to centre them on the board, face down, and then smooth them out before starting to fold,” Autumn says. If you want your children to help pick up the cleaning slack, but are unsure about when it’s the best time to get them started, read our post of the age-appropriate chores kids can do around the house.